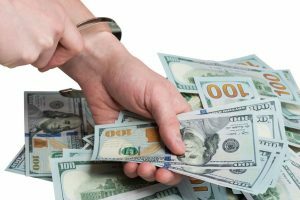 Asset Forfeiture: A Violation of Due Process? Asset forfeiture has become a hot topic, something you might need a Muskogee asset forfeiture attorney for. What was once a way for states to confiscate the illegal proceeds of drug money has become a way for municipalities to line their pockets. The practice has become so pervasive that some municipalities include asset forfeiture as a line item in their budgets to pay prosecutorial and law enforcement staff. So what is asset forfeiture, and why is it such a big deal? Asset forfeiture is a way to confiscate property without any determination of wrongdoing on the part of the person from whom the assets are being confiscated. That is correct. You don’t need to have been convicted of a crime for Oklahoma law enforcement to confiscate your property. And once confiscated, it can be really difficult to get your property back. So if this has happened to you, you will need the help of a Muskogee asset forfeiture attorney to get your property back. Here is a typical scenario, a kind of situation that has raised such outrage. Let’s say that you are driving through Oklahoma on your way to a vacation resort. You get pulled over for speeding, and during the conversation with the law enforcement officer, he casually asks you where you are going and why. You know that other than going over the speed limit, that you have done nothing wrong, and not wishing to appear non-cooperative, you answer his questions. The officer asks if you have cash, gift cards or a pre-paid debit card on you. Since you are going on vacation, you have quite a bit of cash and some gift cards in your wallet, and you tell the officer that. The officer returns to his squad car and takes out a device called an ERAD (Electronic Recovery and Access Device). He returns to your car and asks for your wallet. Your give it to him and he takes out your cash and uses the ERAD to collect all the monetary amounts on the gift and pre-paid debit cards in your wallet. Whatever money you had on them is now the property of Oklahoma. You did nothing wrong. You were not convicted or fined. The police are allowed to do this because they suspect that you might be a thief or a drug dealer. That suspicion is sufficient for them to legally confiscate your money. Sound like an unfair process? Many people think so. And once the state has your money, it is reluctant to let it go. If you want your money or other property returned, you now have to prove that the state is not entitled to keep the money. You must file a claim for the return of the money. Even when presented with proof that you are entitled to the money, the police may refuse to return it to you. It can seem impossible to get your money back, and without an experienced Muskogee asset forfeiture attorney in your corner, it can be difficult. You need the help of an experienced asset forfeiture attorney. Call an experienced Muskogee asset forfeiture attorney at the Wirth Law Office – Muskogee for a free consultation today at (918) 913-0725, or call toll-free at (888) 447-7262. Fight Back and Get Your Property Back! Courts, the U.S. Dept. of Justice and Oklahoma legislators alike have in recent years taken notice of asset forfeiture abuses. In some instances, new case law, legislation and policy directives might curtail some of the most outrageous practices. Yet apparently not all law enforcement agencies “got the memo,” as many continue to seize whatever property they think they can arguably claim can be forfeited. Agencies face few consequences for failing to faithfully follow current forfeiture laws. Those circumstances can require the effort of a zealous Oklahoma asset forfeiture attorney to show them the law. The U.S. Supreme Court has decided that civil forfeiture of assets related to alleged criminal activity may be a due process violation or an excessive fine, both of which are unlawful. These arguments should be raised in any effort to get your property returned to you. In fact, you may need the help of a Muskogee asset forfeiture attorney to file a civil lawsuit for the return of your assets. While this may seem difficult right now, it is still the best way to get your property returned. Some courts are making this more financially feasible by awarding attorneys fees when the government is found to have seized assets without good cause. Get the help you need to prevent this type of abusive behavior from affecting you. Contact the Muskogee lawyers at the Wirth Law Office – Muskogee for a free consultation today at (918) 913-0725, or call toll-free at (888) 447-7262. If you prefer to contact us by email, use the form at the top of this page, or email firm@muskogeeattorney.pro.